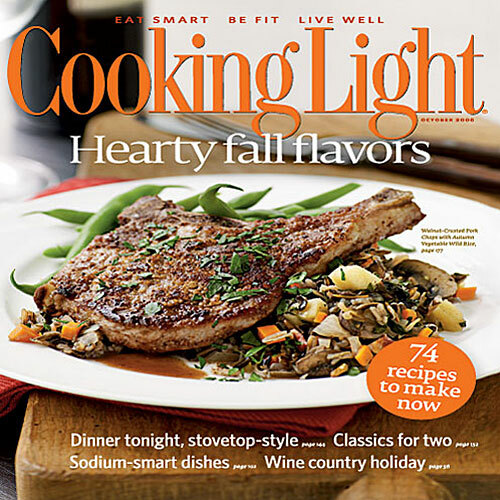 Cooking Light magazine contents for October 2008. Frugal-minded cooks find braising a godsend. The method involves slowly simmering food, usually meat, in a moderate amount of liquid in a covered pot. It works wonders with inexpensive, tough cuts, such as bottom round, pork shoulder, and short ribs-meat that would be tough without a long, slow simmer in aromatic broth. It's also a forgiving technique. If you use a little more onion, a little less carrot, that's OK. After an hour or more of cooking, the flavors meld, and no one will know the difference. Braising is sometimes confused with stewing. In a stew, the ingredients are submerged-as in soup. In a braise, the meat and vegetables are partially submerged (the liquid shouldn't reach more than halfway up the sides of the meat) so that they are cooked both in steam and liquid, a combination yielding richer results and more profound layering of the flavors. We'll explore this easy technique and explain how, why, and when it works.